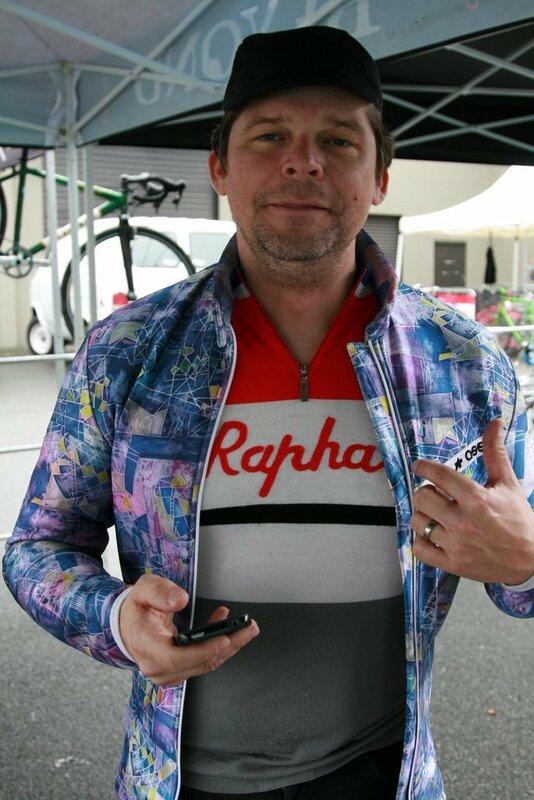 I know it’s popular to make fun of Rapha, but they really are good guys making great stuff. Matt’s right and I’ve snarked them too, starting with this old wool Saint Raphael jersey I have. Recognize the font and name? So did I and suspected that maybe Rapha were just spec’ers bringing Nike-esque marketing to the sport and conjured up a brand with merino wool blends, a whiff of cobbles, and a hard-man aesthetic. Study their marketing, as Slate told the Oregonian, and learn how they do it in the wake of Lance and the waning power of sports celeb. Sophisticated marketing aside, if Rapha didn’t have the goods, they’re Euroness would fade like retysn in candy. You can’t front for long with prices like that. Their kits are getting ridden, raced, and enjoyed by their owners and a fan base. They’re out supporting Cross, a sport very dear to us. You could record and upload unboxing videos with Rapha’s packaging. The kit looks good in the box and the weight, construction is noticeable in the hand. On the body, it’s comfortable, like it’ll last, and work as expected. I paused at why the knickers bunch at the knees without a gusset or how the rain jacket fit a bit blousy and more like a cape. There’s so much competition at the high end of the market and for a premium price, I’d expect a jacket with a more tailored fit like what Castelli, Gore, and Assos offer. 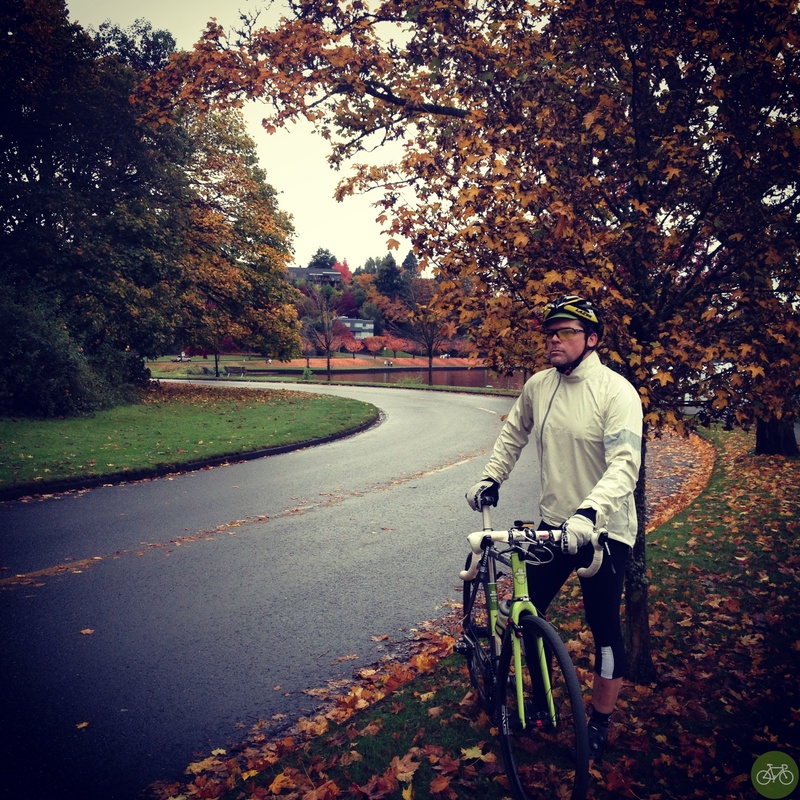 If Rapha is in your price range and the brand appeals to you, I recommend it. The jacket, knickers, jersey, embro and creme cost more than $800.00 combined. Knowing who they are, what they’re doing, and based on what Matt said, I support companies in the industry that are doing it for the love of the sport and bike. 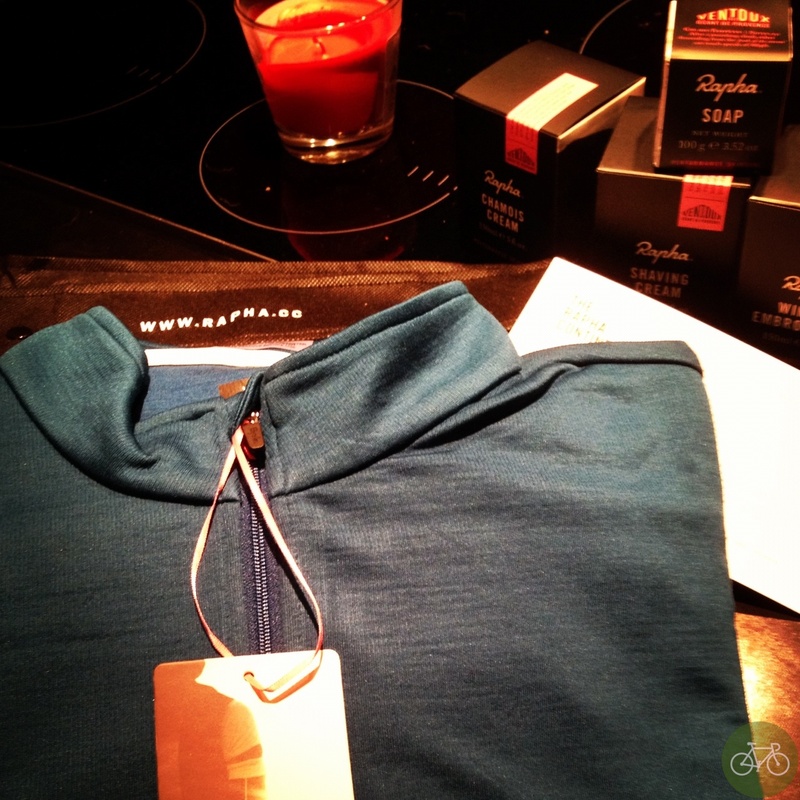 Rapha also sent their soap, embro, and cremes. It’s nice stuff too, but of course, a personal grooming matter and not sure you’d want to smell like another Rapha Guy on the ride. I prefer my chamois creme to tingle and smell like an astringent instead of creamy nutmeg. I do like a spicy soap though and Rapha soap smells like the most manly scent of all, Old Spice. With my ankle injury and not that cold yet, the embro will have to wait a few weeks. Finally, to their wool jersey, I like that piece so much I’ve set it aside for my apres-cycling wear. It joins the retro, classic, and other merino wool pieces in my closet right next to my adored St. Raphael jersey.